Great last day at the Trade show. 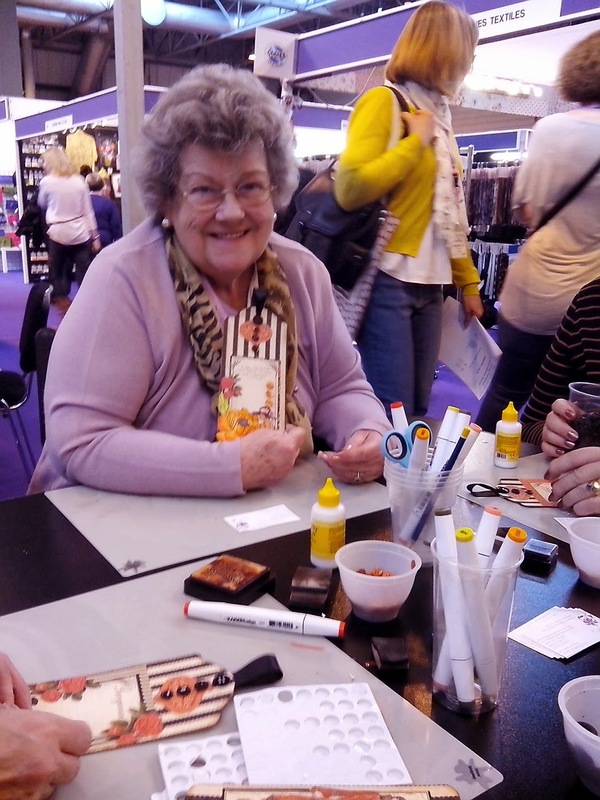 Its always sad when a show comes to an end but it was smiles all round on the make and take table again. 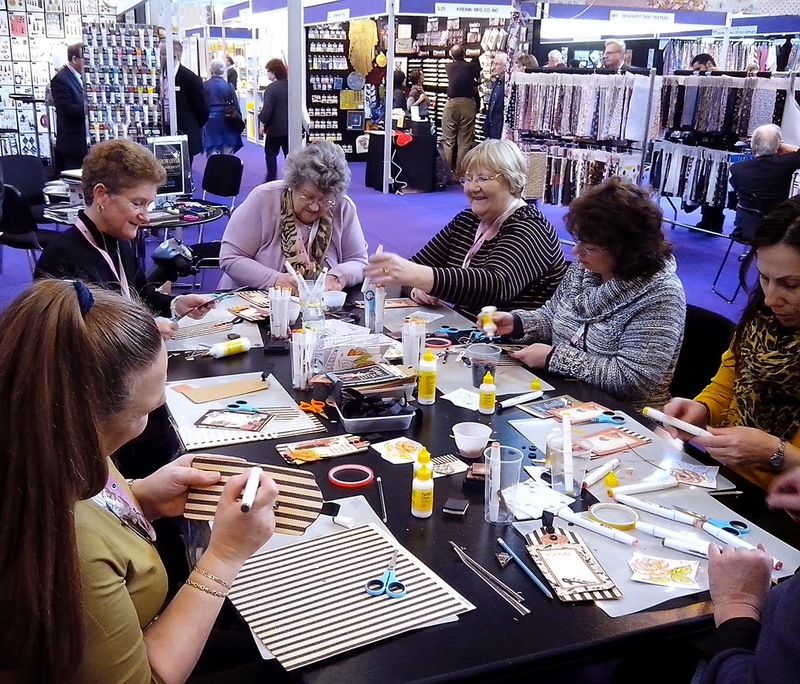 Huge thanks to John for inviting me to run the make and takes for him, and for inviting me back onto the stand at next years Trade show. That's the first booking for 2015. I'll have to buy a new diary now - or make one maybe lol!. I've met some lovely retailers over the last three days, put faces to names made loads of new friends and really had a ball. Thanks to everyone who called by the stand to say hi to. 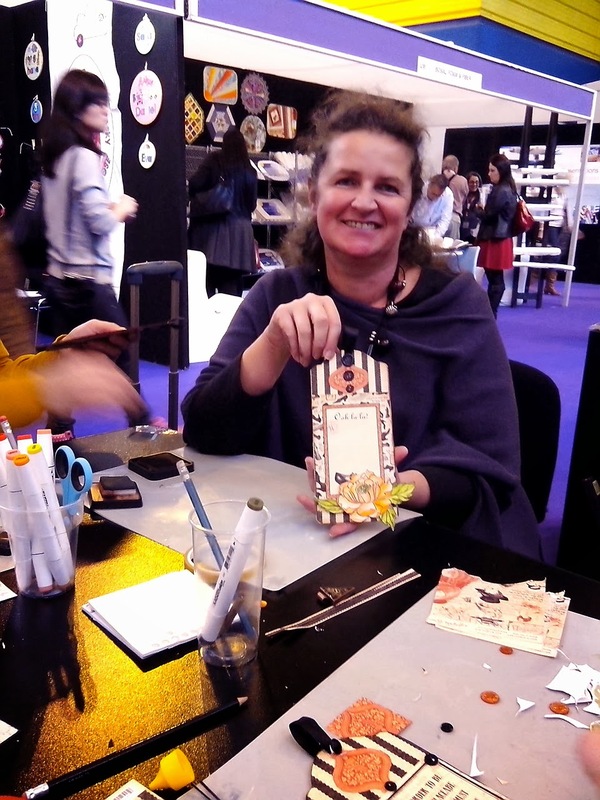 It's back to reality tomorrow putting the final bits and pieces together for all the lovely ladies who are joining me later this week for some crafty mayhem at my retreat. I'm hoping to find some time to make something for the blog too before then, fingers crossed. 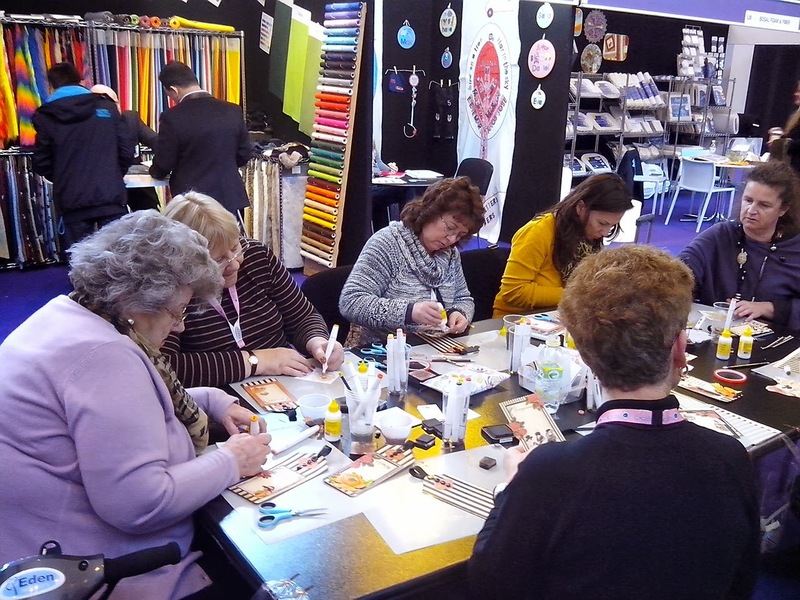 It must be tiring but exhilarating at the same time to do the Make & Take at the big show!!! You get to meet lots of people and have besides!! Put your feet up and relax a bit!! Meant to say "FUN" besides!!!! Got to do better proof reading, lol. Morning Clare, Wowee, already taking bookings for 2015 !! I think you may have a problem getting next year's Diary haha !! 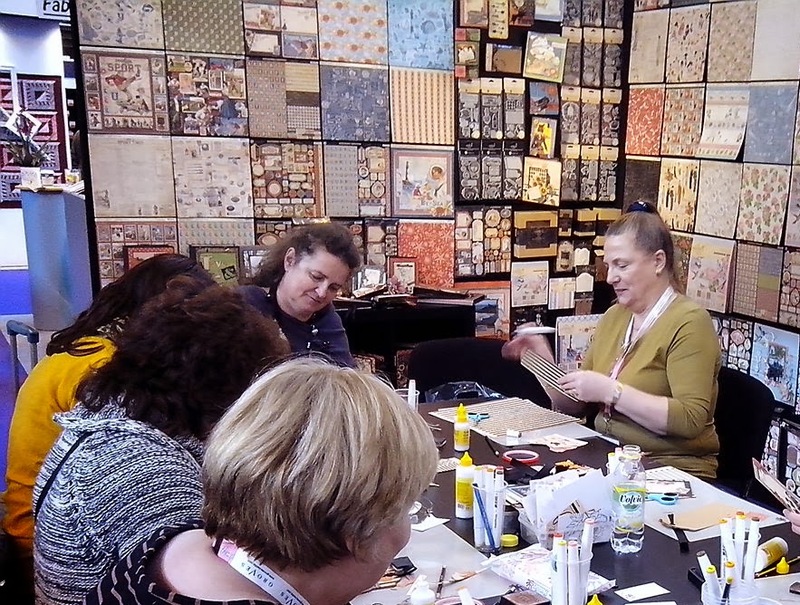 So glad your Make and Takes went well and that you had a fabulous time at Stitches, your piccies have been fantastic. Loved the pix of your recent Trade Show. Must have been fun, tiring, but fun! Good afternoon Clare. Judging from your photos everyone seemed to be having a great time. You must be thrilled that the show went so well. Unfortunately I haven't been around much due to ill-health but have been popping back to your blog every so often just to keep up-to-date. I'm hoping to get myself well enough to maybe start crafting again pretty soon as I am really looking forward to making a start on the Art Deco Handbag project that I purchased a short time again. Do hope all is well with you and yours and am really looking forward to seeing what you have in store for us in the coming months. Enjoy the rest of your day. Thank you so much for the session on Sunday we had so much fun.